I had the amazing pleasure of speaking to the amazing Marcela Speert, founder of Re:Beauty on her natural beauty routine that she swears by. Re:Beauty is one of my favourite natural brands – their packaging has won sustainability awards! – and every product that I’ve used my skin has absolutely loved. If you saw my favourite products for fresh skin post (here) then you’ve seen their products featured there. They just always feel and smell so lovely! 1. What is your beauty routine (morning/night)? Morning – I cleanse every morning with Re:Beauty Re:new cleanser. Followed by Re:juvenate serum to which I will add a drop of your fav Re:vive whitening oil. Serum prepares my skin for Re:hydrate, Ultimate Hydration Cream. Of course, I use Re:store eye cream. 2x per week I will use Re:exfoliate cleanser in the morning because I have very sensitive skin and find using it in the morning prepares my skin for make-up application which goes on smoothly. 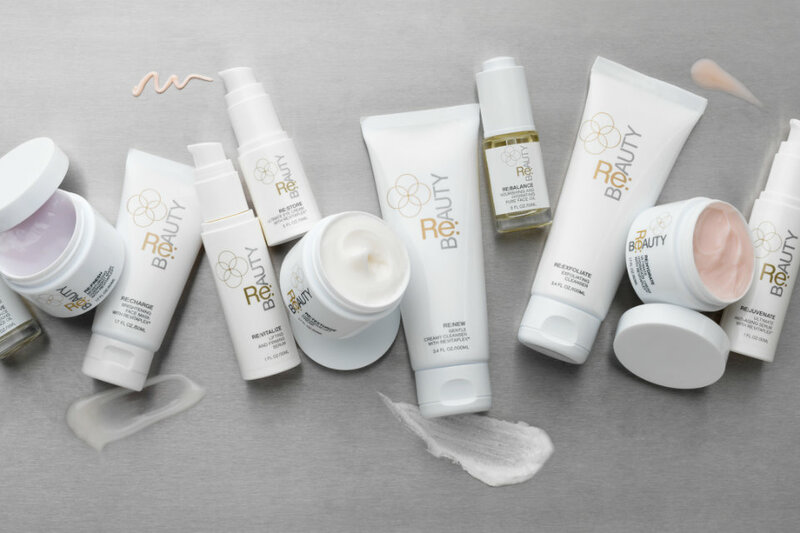 Evening – cleanse with Re:new, followed by Re:vitalize Serum and Re:texturize Luxurious Lift Cream – both of these products have lifting and firming properties and have improved my skin texture. Re:store eye cream is always a must to care for the delicate eye area. 2. What are some beauty any tips or secrets that swear by? a) Using the appropriate skin care products will make a huge difference for anyone and exfoliating your skin several times a week will help keep your skin glowing, removing impurities and dead skin cells. b) I love face oils, the right oil will keep the skin hydrated. I add oil to serum in the morning, it contains vitamins which help improve skin texture, it is soothing and also a lightening oil which is why I use it on my hands every night to lighten sun spots and age spots. I also add a drop on my make-up brush and buff into my skin over my make-up. The oil will not melt your make-up rather give you an amazing glow.If someone has oily skin which needs hydration as well, they would benefit by Re:balance. People are very surprised, as are our male customers how well Re:balance works on normalizing oily and congested skin and yet will hydrate dry skin. I use our Re:balance oil as a treatment twice a week – apply 8-10 drops to face, allow to penetrate and follow with serum and moisturizer in the winter. In the summer, because I have combination skin I use the oil on its own as a deep treatment to hydrate and balance my skin. c) I am also a firm believer in using a serum with your moisturizer. These products are packed with anti-aging benefits and prepare your skin for a moisturizer allowing it to absorb and be more effective. 3. What ingredients do you avoid when it comes to conventional beauty? Having developed the Re:Beauty products, I am very picky about ingredients. When creating our products, I went to a lab with a long list of ingredients which I didn’t want in our products. My goal was to develop plant based products, with anti-aging benefits that meant ingredients with high level actives which would deliver results. Mineral oil – use Triglycerides or Squalane instead. 4. Besides products, what other habits do you have to keep your skin young and fresh? Building Re:Beauty for almost 2 years now, has been a labor of love but 24/7. To keep my energy level up and stress under control I exercise daily and eat a well balanced diet filed with organic fruits, vegetables, fish and some chicken. Drinking lots of water and I love green tea. Exercise has always been a huge part of my life. I run 4 miles every day, 7 days a week with daily yoga or pilates. Massage is pure luxury when I have the time and treat myself to an acupuncture session. 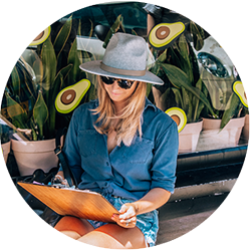 I follow your blog daily and love your healthy and creative sweet treats that are very satisfying. Thank you so much Marcela for your amazing tips! What about you guys, any tips you want to share or anything specific you guys loved from Marcela’s? Hey Buddy!, I found this information for you: "Natural Beauty Routine: Marcela Speert from Re:Beauty". Here is the website link: https://www.sprinkleofgreen.com/natural-beauty-routine-marcela-speert-rebeauty. Thank you.